Click the button below to add the Safety Butterfly Needle set with Luer Adapter 50 units box to your wish list. Needle is 21G x 3/4" tubing length 7 1/2" (19 cm), single-packed, sterile, not made with natural rubber latex). The needles will have the tube holder attached to the end for safety. Made specially for Boca Dental Supply Safety Butterfly needles set box of 50 units in single pack have 2 years or more with 2 years of expiration date. 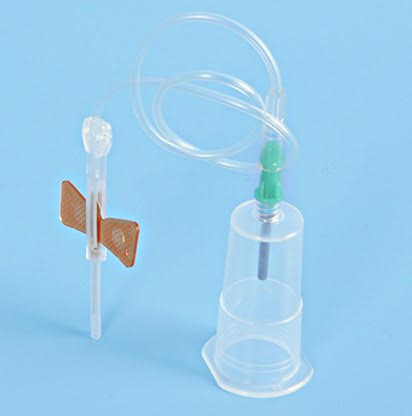 Butterfly Needle with Blood collection set is FDA cleared with 510k. Special Buy 12 boxes (1 carton) and receive 22% credit back to your card.